A revolutionary new teaching programme is taking hold at universities across Scotland giving people the chance to earn degree-level qualifications whilst in paid employment. Graduate Apprenticeships (GA) launched last year with Heriot-Watt amongst the first universities to sign-up. 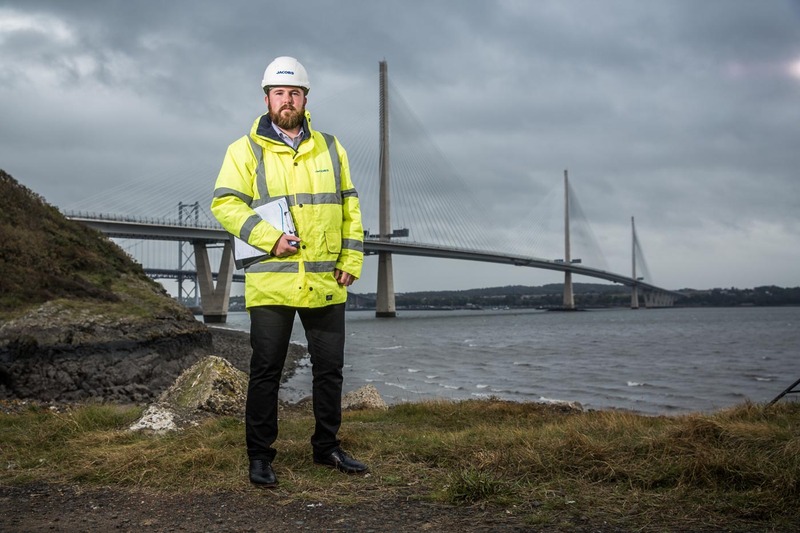 The Edinburgh-based institution is now Scotland’s largest provider of GA courses with 175 fully-funded places made available in this academic year alone, covering a range of subjects including Business Management as well as Construction and Civil Engineering. Graduate Apprenticeships is a pioneering initiative, creating degree-qualified employees with the skills companies are looking for. Employers and universities are working together to shape the programme around the needs of industry, guaranteeing the content and study practices are easily implemented in, and relevant to, the workplace of the apprentice. And already many Heriot-Watt students are enjoying the benefits of studying whilst in employment. 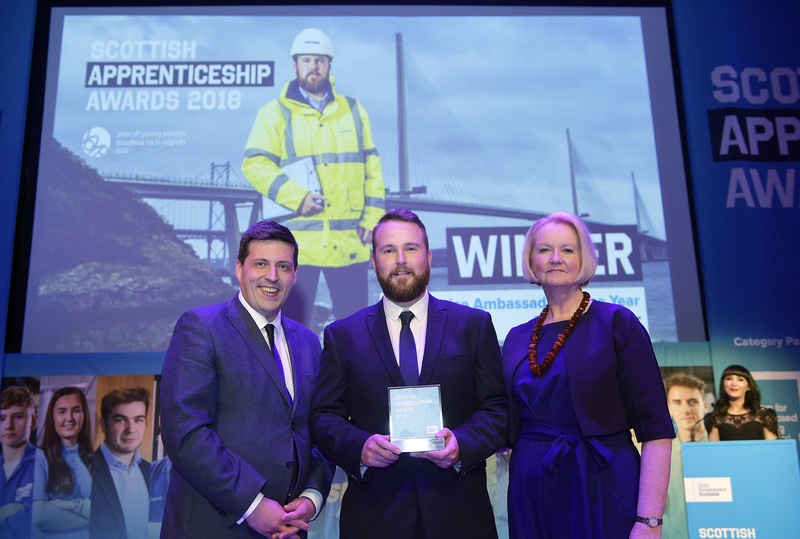 Earlier this year, 24-year-old Ryan O’Connor was named Apprentice Ambassador of the Year at the Scottish Apprentice Awards. The Bathgate man, who is a strong advocate of apprenticeships in Science, Technology, Engineering and Mathematics (STEM), successfully progressed from a Modern Apprenticeship into the Graduate Apprenticeship programme at Heriot-Watt with his employer Jacobs UK. 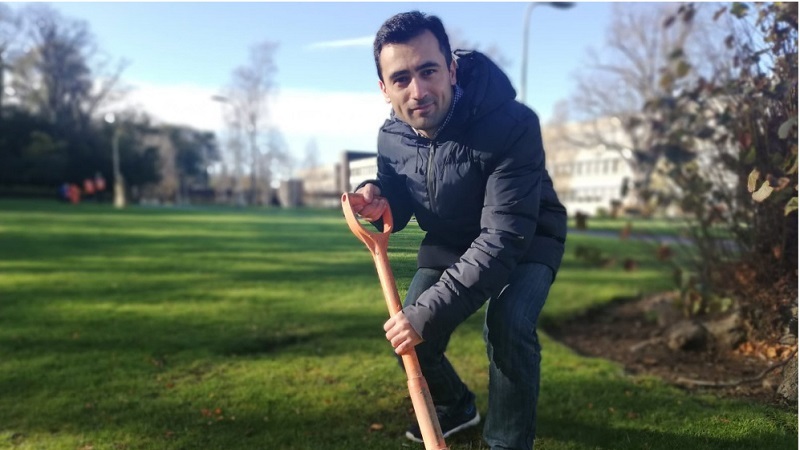 He was fast-tracked into year two of a BEng (Hons) Civil Engineering course at the University after completing a specialist construction course in 2017. He explained: “We went to Breadalbane School last year to help get fourth fifth and sixth years get ready for the work environment. The GA programme also offered a route into the construction industry for an enterprising refugee who fled bloody warfare. Shams Rahimi was just 17 when he left his home in Afghanistan determined to live in the UK. Once he arrived he was determined to find work. Determined, he walked from his accommodation to a GRAHAM construction site in Glasgow city centre and waited outside until there was a manager on site to ask for an interview. But with no job history he impressed interviewers with his enthusiasm to learn. Heriot-Watt currently is working with organisations to deliver world-class apprenticeships, creating opportunities for individuals like Shams to transform their lives and drive productivity growth within Scottish businesses. For more information on Graduate Apprenticeships visit hw.ac.uk/ga or call 0131 451 8369.